Yesterday we introduced you to some of the upcoming changes to the traits system. Those changes, while exciting, are just one part of the balance updates bundled into the April 2014 Feature Pack! Today we’re going to talk about some big changes to runes and sigils, as well as some general balance improvements. As we reviewed the balance of runes in Guild Wars 2, our goal was to make sure that each rune set has a clear purpose and a reason to be used as part of a build and feels like it really contributes to your build. One of our main considerations with this balance pass was encouraging players to use one whole rune set, rather than mixing and matching one or two from several different sets. All the runes’ set bonuses will be updated to shift the payoff towards the four, five, and six-piece bonuses. Stats will be appropriately increased with each rune used. This increases the statistical reward for sticking with a whole set. We know that some builds rely on mixing and matching different runes to optimize a given stat, and we don’t want to stop players from doing that. Rather than limiting build diversity, we simply want the PvE rune system to be as clear and approachable as possible for new players, so we’re making it easier to understand the benefits of sticking with a single rune set. We are updating a lot of runes to have a specific focus, such as adding a particular boon or condition or catering to a supporting or offensive role. In fact, you’ll find that the way we’ve reimagined certain runes will take away some of the need to mix and match sets; we’ve updated rune sets to fill some of the niches that were currently unfilled. We’re also improving player experience with runes that rely on a “proc,” a specific occurrence that has a chance of happening when certain conditions are met. For example, the current six-rune bonus for the Rune of the Nightmare provides a 5% chance to cause fear when hit. 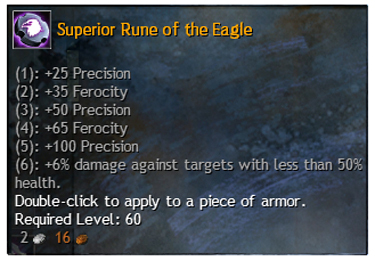 That 5% chance is hard to rely on in PvP and WvW, so we felt it needed updating. We’re drastically increasing the proc rates on all the bonuses; the six-rune bonus proc for superior rune sets will have a 50% likelihood, making the bonus much more reliable and interesting for use in all kinds of combat. One of the big changes being made to runes in PvP is the removal of splits between the PvE and PvP versions of a rune set. Because we went through and rebalanced rune sets to bring them to about the same level of power and usefulness, a divide between PvE and PvP rune sets is no longer necessary. As mentioned earlier, one of our goals is to encourage players to stick with a single rune that best supports their build. Since the feature pack will move the weighted bonuses to the higher parts of each rune set, we feel that having a player choose six different runes was an unnecessary complication of the build-making process. In order to make it simpler to understand for new players and easier to switch between builds, runes in PvP will now be a single slot you equip. Equipping a single rune will be the equivalent of equipping it to your whole armor set and it will provide your character with the same bonuses that you’d formerly receive with a full six-piece superior rune set. Now that we’ve covered runes, it’s time to discuss sigils. In this section, we’ll talk about some changes to sigil balance, functionality updates, and some of the ways we’re making sigils a better player experience. We’re removing a lot of the hidden rules that the sigil system currently employs. First off: all sigil recharges will be separate. You’ll be able to use a Sigil of Energy on-swap and still have your Sigil of Fire activate on critical hit! Likewise, your Sigil of Fire and Sigil of Air will have separate recharges. However, Sigils of the same type will still not work with one another. For example: A character with two Sigils of Blood (minor, major, or superior) who activates one will set both sigils on recharge. 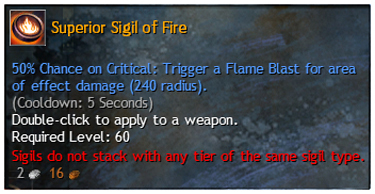 We added a warning of this new functionality onto the sigil descriptions. On-Kill sigils (those sigils which trigger when you kill something) have received an update as well. The functionality of each sigil has changed so that killing a player is worth five stacks of a sigil in any game mode, while killing a monster only grants one stack. This type of sigil will have more strict rules applied on them, so that a player will no longer be able to gain 25 stacks and then un-equip the sigil. In the new update, two-handed weapons will be gaining the ability to equip multiple sigils. The UI has been updated and you’ll be able to place sigils in each slot accordingly. Note that the top sigil is the one that affects the name of the weapon. With this feature build, we’ve made quite a few balance changes to sigils. Compare the Sigils of Ice and Fire in the current system: Fire is pretty much always better because it can hit five targets for almost the exact same damage, on the exact same recharge. With the coming update, both sigils will have a 50% chance to activate. The Sigil of Air will drop to just a three-second recharge while Fire will remain at a five-second recharge with slightly reduced damage. Changes like this will make more sigils viable options and open up the playing field for you to find what suits your build best. Some sigils have received a more extensive update than just number tweaks. An example of this would be the Sigil of Conjuring, which functioned the exact same way as the Sigil of Sanctuary. Conjuring has been renamed to Sigil of Celerity, and instead of granting invulnerability at 25 stacks, it will grant quickness for five seconds when you reach that 25th stack. The Sigil of Sanctuary, which had extremely limited usability, has been renamed and re-worked, becoming the Sigil of Benevolence. This new sigil will grant bonus healing to other allies similar to how the elementalist’s new trait, Aquatic Benevolence, will function. With this update, we’re altering a few of our attack-based sigils to be used in a builds that aren’t heavily reliant on critical hits. With this, we’re changing a few of the more defensive sigils – namely the Sigils of Ice, Purity, Frailty, and Water – to grant their bonus when you hit an opponent, rather than when you score a critical hit. With these changes, characters who aren’t geared towards critical hit builds will have a bit more access to attack-activated control, survival, damage, and support. We want to give the elementalist a bit more survivability and support when going skirmishing with enemies, both in PvE and PvP. Elementalists with a dagger in their main hand will gain an extra evasion on their Burning Speed as well as a blast finisher on their Frozen Burst. For PvP players, we’re removing the PvP skill splits that were implemented for both Signet of Restoration and the Cleansing Water grandmaster trait. The focus for engineer in this update is to increase their build diversity, allowing for a few more power-oriented styles and increased team support. Engineers will find that there have been quite a few bug fixes for their turrets, as well as new trait functionality to help support your team with them. A few skills like the A.E.D. are having their cast time reduced in order to make them easier to execute in battle. We’re bringing in a few quality-of-life adjustments for the guardian, giving them a few more options for support but also allowing for different damage options and self-sustainment. You won’t see a huge amount of balance changes to the guardian at this time, as they are generally still in a good spot. 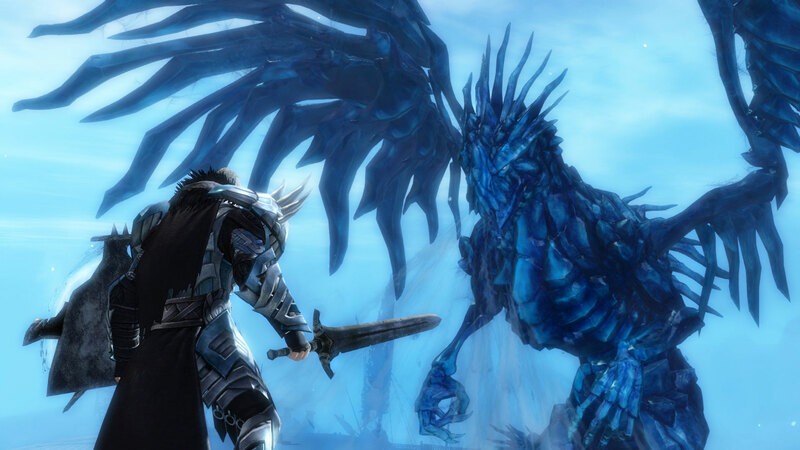 With that being said, their new grandmaster traits will explore new boundaries as they make use of the strongest player-activated burning condition in Guild Wars 2. The focus for of the warrior for this feature pack is going to be to slightly lower overall regeneration while allowing for a little more counter-play in PvP and introducing some interesting grandmaster trait choices. For this update, Healing Signet will be reduced by 8%, Pin Down will be moving from a ¼ second cast time to a ¾ second cast time, and a few other bugs will be fixed which were allowing more advantage than expected on the battlefield. Quite a few changes are being made to the necromancer. With this update, we continue our focus on survivability and attrition. Dhuumfire is being unified for PvE and PvP and moved to Life Blast instead of requiring the necro to critically hit an enemy. The Death Magic line has been reworked and restructured slightly so that minions are no longer a required element of that trait line. We’re moving some traits around and making room for Armored Shroud, which grants bonus toughness while in Death Shroud, and Soul Comprehension, which increases the base life-force gain from surrounding deaths. Multiple pet AI quality-of-life changes and bug fixes are being made for the ranger. For example, commanding your pet to use a skill or attack an enemy will now occur instantaneously and will break the creature out of its current action. The skill activated by Keen Edge is now considered a Survival skill and will benefit from other traits that impact this skill type. In addition to a few bug fixes and slightly toning down the poison duration of Choking Gas, thieves will be looking at a few new survival and support options via traits. Sharpen your blades, pack your pistol powder tight, and fletch your arrows: Invigorating Precision is coming your way, which will heal you for a percentage of your outgoing damage on critical hits. 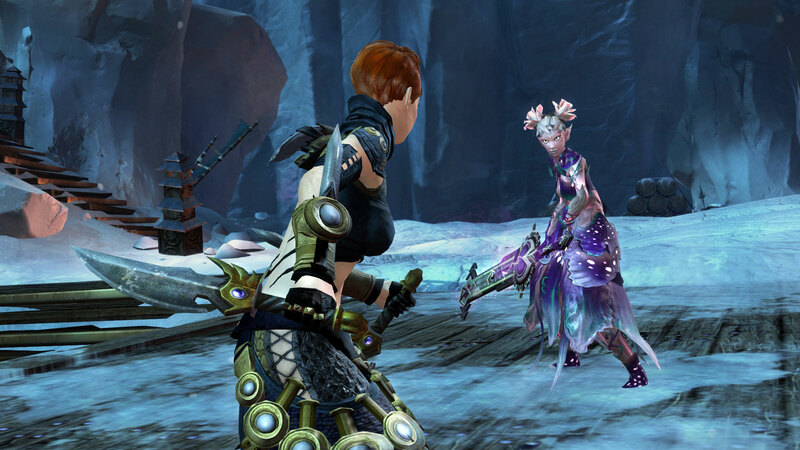 In the April 2014 Feature Pack, we’re focusing on giving the mesmer a few more options for applied conditions and support/survivability. Clones and phantasms will receive some updates and bug fixes, including the repair of the Illusionary Warden. Along with a few other bug fixes, the mesmer will benefit greatly from the changes to sigils, especially now that they can equip two sigils to their greatsword or staff. We’re also quite excited about a few new mesmer traits that are becoming available, such as Maim the Disillusioned, which has a great name. The Feature Pack approaches, Tyrians! We hope you’ll enjoy the many changes and updates to these runes and sigils. Be on the lookout for more information in the coming weeks. Guild Wars 2 Traits Unleashed: Forty New Traits and More!